If you’re a long-time reader of In Touch Weekly and Haute Living, or if you’ve ever seen a gorgeous marketing campaign for on-demand beauty app Glamsquad, then you’ve — perhaps unknowingly — seen the work of Caitlyn Chase. Caitlyn, a beauty and fashion industry veteran, started her lifestyle blog, Caviar & Cashmere, in 2011. 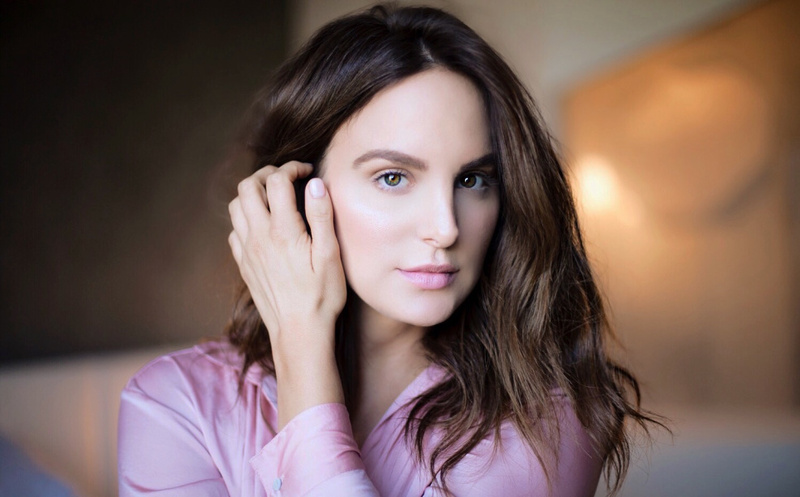 Recently, she also added business owner to her resume with the launch of her eponymous, Los Angeles-based skincare line, Caviar & Cashmere Skincare. Caitlyn’s grandmother (who Caitlyn swears looks 20 years younger than her actual age of 98) also served as one of the main sources of inspiration behind Caviar & Cashmere Skincare: “She taught me all about skincare from a young age, so my passion for beauty is multigenerational and multifaceted,” says Caitlyn. Caitlyn’s beauty philosophy — which takes inspiration from the beauty enthusiasts in her life, as well as her time working in the industry — has evolved over the years. Now, it’s more about quality than quantity. “My approach to skincare is simplicity,” she shares. “I believe in using fewer products which are highly concentrated with effective clean ingredients. I don’t think it’s necessary to have twenty steps in your regimen.” To simplify the all-too-common experience of being bombarded by a seemingly endless array of products, she started her own line, Caviar & Cashmere Skincare. The collection is a minimalist system of three non-toxic products that are clean, effective, and luxurious. While Caitlyn has spent years perfecting her personal skincare routine and developing Caviar & Cashmere, she’s also equally choosy about what dermatologists and aestheticians she goes to. The two experts she trusts? Her long-time dermatologist Dr. Jennifer Herrmann of Rodeo Drive Dermatology for medical aesthetics treatments, and Joanna Vargas (and her team of experts) for facials. “I have been going to Joanna Vargas at the Sunset Tower Hotel for facials for the last three years, and they’re the only ones I trust (besides Dr. H) with my face!” she says. And now onto the exact 11 ways Caitlyn keeps her skin looking the way it does! Clear & Brilliant®: “The Clear & Brilliant® facial is the perfect foray into laser treatments. It is the most gentle type of laser and requires little to no downtime. Clear & Brilliant® is great for people who’d like a quick remedy for dull skin, since it makes the skin look more radiant and glowing.” Note that if you have have had botulinum toxin injections, or dermal fillers (such as collagen or hyaluronic acid) within the past two weeks, talk to your doctor to discuss risks.